More than 925,000 illegal immigrants are walking the streets of the United States despite government orders for their deportation, according to a new report. And more than 170,000 of them have been convicted of crimes in the U.S.
Those numbers indicate that nearly 1 in 10 people living in the U.S. illegally have already been ordered to leave, but are defying federal immigration authorities. The Center for Immigration Studies, a center-right think tank, published the startling statistics on Friday. The group’s policy studies director, Jessica Vaughan, told The Washington Times that only a tiny fraction of the deported-but-not-departed ‘aliens’ are already in custody. ‘The fact that almost 10 percent of the illegal resident population has already been ordered removed and is still here illustrates just how dysfunctional our immigration enforcement system is,’ she said. In all, the defiant offenders numbered 925,193 at the end of 2015. Many of them are either people whose home countries refuse to take them back but whom U.S. authorities lack a legal basis to keep locked up. Others are released from jails in so-called ‘sanctuary cities’ that refuse to work with federal immigration agents. A third group simply go on the run. 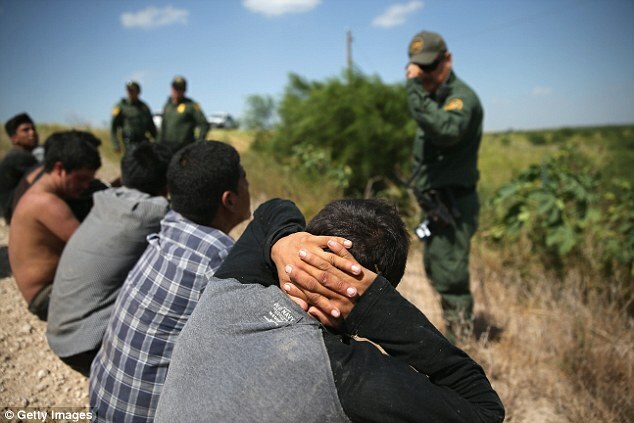 Last year, 179,040 new ‘final orders of removal’ were issued to deport criminal aliens who haven’t left. Vaughan cited data that she said came from the Senate Judiciary Committee. 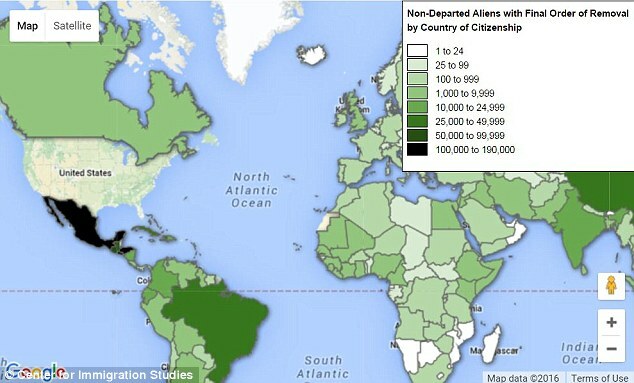 Mexico alone accounts for 200,000 of them. Vaughan said one-third of that group are convicts. By comparison, only about 1 in 15 Salvadorans living in the U.S. after deportation orders have been convicted of crimes while they are here.